Detective Constable "Dangerous" Davies always gets the cases no one else wants-and no one notices when he eventually succeeds. But his old-fashioned decency and dogged determination have won him legions of loyal fans. 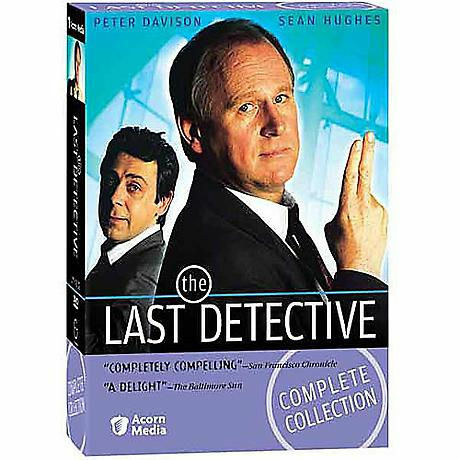 Collected here are all 17 episodes from the hit British mystery series starring Peter Davison (Doctor Who, All Creatures Great and Small), who plays the beleaguered Davies "with a pitch-perfect mix of self-effacement and irritation at the endless slights from crooks and fellow cops alike" (The Baltimore Sun). Mocked by colleagues at his small London police station and enduring slights from his estranged wife, he even listens to advice from his kooky chum Mod (Sean Hughes, The Commitments). Still, Dangerous manages to make connections that the slicker cops miss and shows that underdogs do have their day. 17 episodes on 9 DVDs, approx. 20 hours.